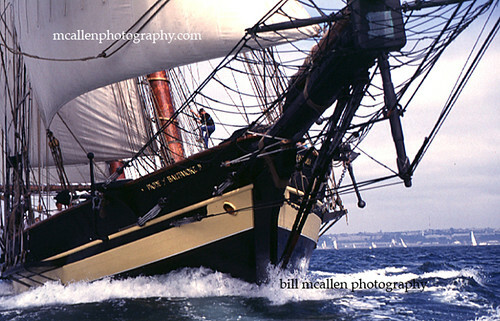 The Tall Ships 2012 are coming to Greenport on the North Fork of Long Island over Memorial Day Weekend. This is an extraordinary occasion–a chance to see some of the most glorious ships in the world under sail. The ships will arrive on Friday, May 25th and depart on Tuesday, May 29. While they’re docked in the Village of Greenport, visitors are invited to step on board and speak with members of the crew. It’s magnificent to simply see the ships. Being able to tour them is, as they say, icing on the cake. We’re looking forward to Memorial Day Weekend at our North Fork Long Island Bed and Breakfast, which is about five minutes from the Village of Greenport. You can bike to Greenport from Arbor View House in about fifteen minutes; that’s a good option during busy times like Memorial Day Weekend with the Tall Ships in town. There will be vendors in town and Front Street will be closed each day until 6 pm. Come see the Pride of Baltimore II, a reproduction 1812-era topsail schooner and the Goodwill Ambassador of the State of Maryland. The Pride of Baltimore II. 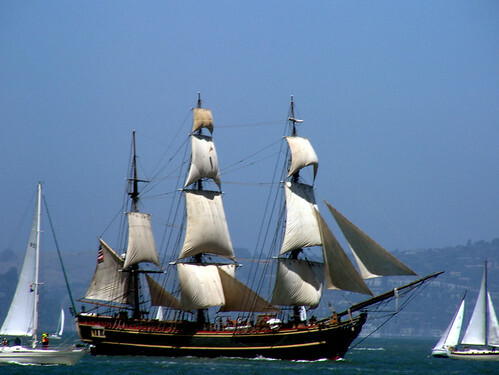 Come see the Picton Castle, a three-masted, square rigger tall ship based in Nova Scotia. Come see the H.M.S. Bounty, a movie-star of a ship and a relic of the famous ship that was mutinied off the coast of Tahiti in 1789. Come to the North Fork of Long Island to see the Tall Ships over Memorial Day Weekend. Stay at our Bed and Breakfast near Greenport while you’re here. 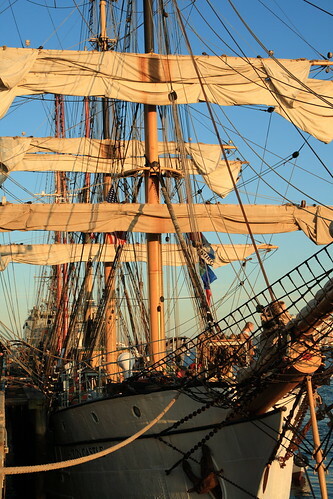 Guests will receive 4 tickets (per couple) to Tall Ship events. This entry was posted on Thursday, April 5th, 2012 at 7:20 am	and is filed under Arbor View House, Greenport, Long Island Things to Do, North Fork Events. You can follow any responses to this entry through the RSS 2.0 feed. Both comments and pings are currently closed.